Regular tree trimming is a crucial aspect of maintaining your landscape. When you take care of your trees by pruning them as needed, you’ll extend their lifespan, keeping them healthy and vibrant for as long as possible. If you own property near Kalispell, MT, L & M Tree Service can help you keep your trees in tip-top condition. Crowding: Branches become crossed or crowded when they compete for sunlight. To keep your tree’s growth on track, have your branches trimmed back to prevent overcrowding. Obstructed Views: If your picture window has become blocked by towering trees, it may be time to call your professional tree service. Allowing sunlight to filter in during the winter is a great way to save on electric and heating bills, and in the summer, you’ll want to enjoy the lush view of your landscape. Dwindling Fruit: As fruit-producing trees grow, their supply thins out. 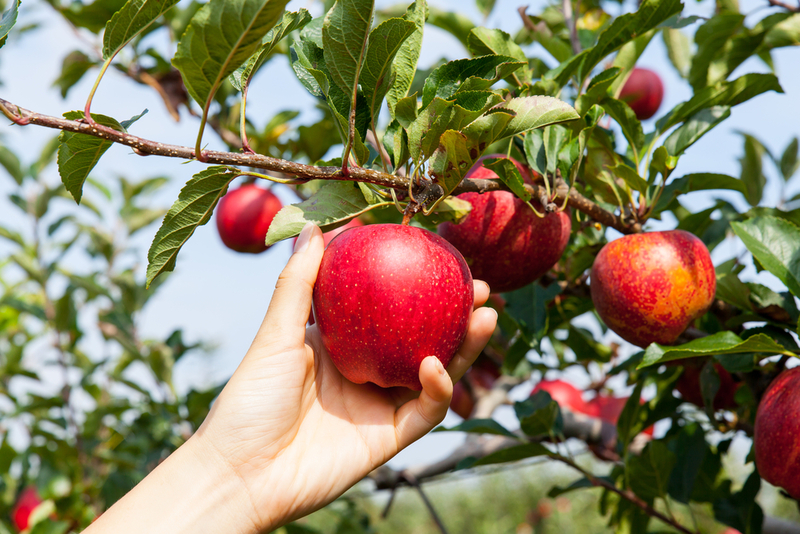 If you have fruit trees on your property and would like to encourage them to produce more, schedule tree trimming on a regular basis. Wilted Surrounding Plants: When trees grow too large, their sprawling branches create a significant amount of shade. As a result, surrounding flowers, shrubs, and other plants will wilt without access to the sun. Tree trimming limits crowding, allowing light to reach plants at lower levels. Dead Branches: Decaying limbs could indicate decay or infestation. When a tree becomes diseased, all of the affected branches must be removed to prevent the sickness from spreading. Tree pruning professionals can assist by removing the impacted areas. Arborists also check for early signs of disease during regular tree service visits to stop impending problems in their tracks. L & M Tree Service has more than 25 years of experience and can help you keep your landscape beautiful and healthy. To request an estimate for their tree trimming services, call (406) 261-7240 or contact the team online.